Food brings people and communities together. 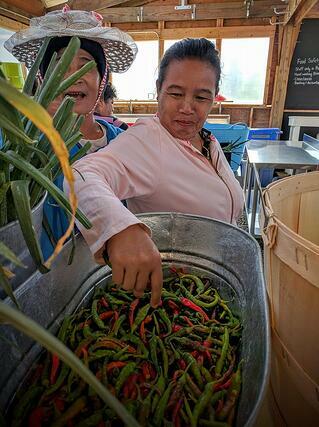 We were reminded of that recently when we saw this cool NPR article about a community garden in Detroit that connects Bangladeshi women growing vegetables in their backyards with restaurants interested in featuring locally grown produce on their menus. The article got us thinking. What other gardens across the United States are bringing people together, forging connections, and building stronger communities right in our own backyards? Well, we did some digging and here’s what we found: community and urban gardens are bringing fresh produce to food deserts and helping to create the bonds of friendship and community everywhere we looked. 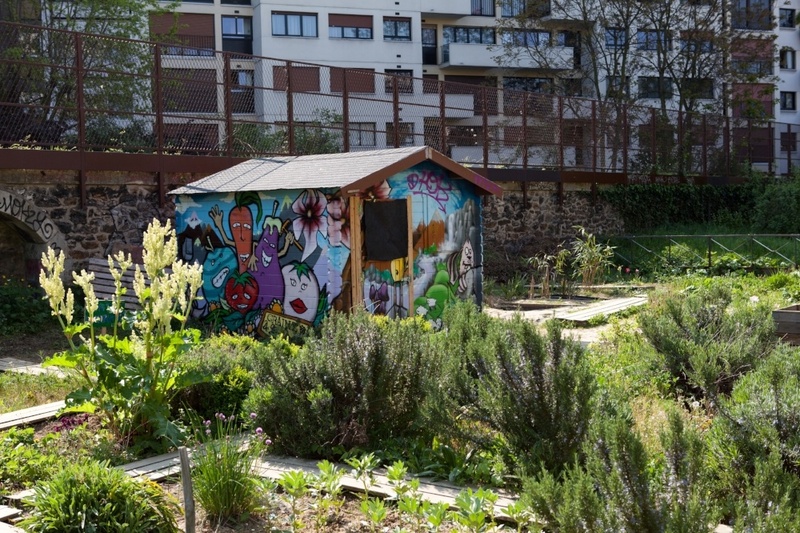 We picked our top 4 rock-start community gardens to share with you. Based in Santa Cruz, California, the Homeless Garden Project provides support services, job training, and transitional employment to people experiencing homelessness in the Santa Cruz area. Trainees in their program grow produce for the organization's Community Supported Agriculture share. They also learn basic life skills and other marketable skills that increase their employment opportunities beyond the Homeless Garden Project. The Homeless Garden Project is committed to creating and supporting an inclusive, thriving community, workforce, and locally-grown food system. Based in Kansas City, Kansas, the New Roots for Refugees program helps people fleeing violence and persecution begin to sow the seeds of a new life in the United States. By building on the strengths and knowledge refugees already possess, this program helps them find ways to support themselves while contributing to their new communities. In this truly innovative program, newly settled refugees receive training and practice their skills at the Juniper Gardens Training Farm. 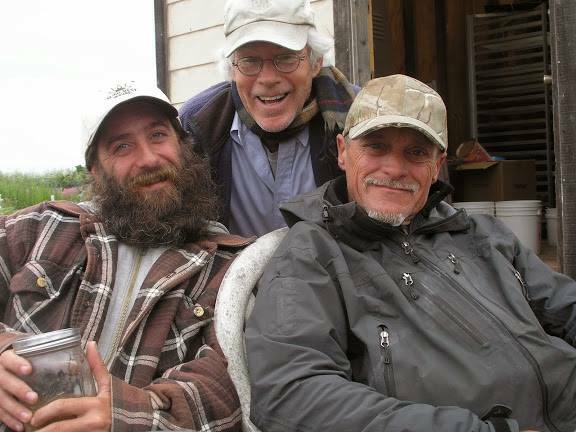 After four years, participants graduate from the program and most continue to contribute to the local food system as farmers on their own land. 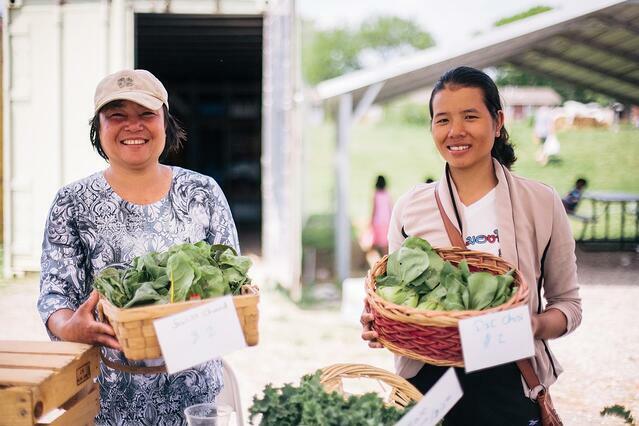 New Roots sells Community Supported Agriculture shares and can be found at many farmer’s markets in the Kansas City area, often right alongside their program graduates. What started in 1990 as a little garden next to the ReVision Family Home shelter for mothers experiencing homelessness has grown into a massive community garden. It was originally established with a small, but important goal: to ensure the children at ReVision Home had access to fresh, healthy food. Now, ReVision Urban Farm feeds the community as well as the residents of ReVision Home – both literally and metaphorically. The farm’s success is able to support ReVision Home residents, Community Supported Agriculture shares, and there’s enough left over to sell at local farmer’s markets. At the same time, the garden is able to offer job training to the youth and homeless populations of Boston. In support of their mission to make nutritious, healthy food available to everyone in the community, the ReVision Urban Farm also sells seedlings. As a result, they make it easy for anyone in the area with a little bit of soil to start their very own garden. While not a single community garden, we couldn’t help but include Denver Urban Gardens in our list. Established 1985 to facilitate the creation of community gardens in the Denver metro area, Denver Urban Gardens operates over 165 community gardens. Of the nearly 200 gardens, there are more than 40 school-based gardens! Denver Urban Gardens has created a curriculum for their elementary school garden classrooms. 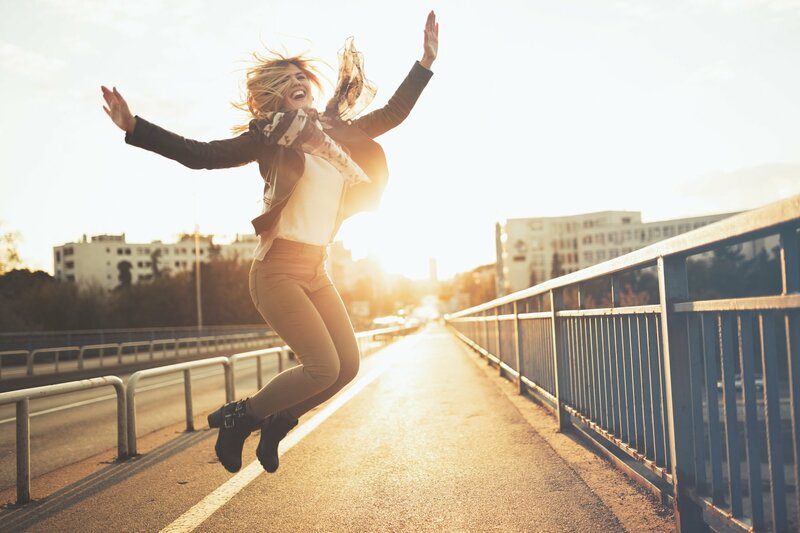 Each lesson incorporates applicable Colorado Academic Standards in comprehensive health and science. And most include a fun, kid-friendly recipe too. But the school-based gardens are only a quarter of the community gardens run by Denver Urban Gardens. Through collaboration with another non-profit organization, Project Worthmore, Denver Urban Gardens helps to operate the DeLaney Community Farm. DeLaney Community Farm was created to support vulnerable members of the local community, including families from Women, Infants, and Children (WIC), Colorado-based refugees, apprentices, and farmers. 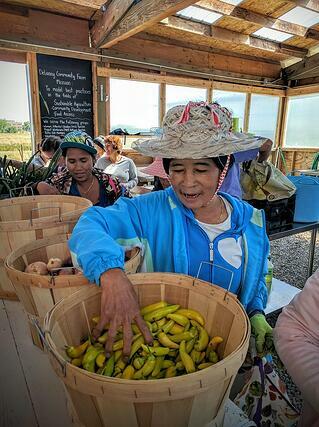 Through the demonstration of small-scale, sustainable farming practices, DeLaney Community Farm is able to help people, refugees especially, reconnect with the land in a way that benefits them and the community at large. These 4 rock star community gardens are just a sample of the amazing and inspiring work being done across the country. Every single one started small – with a goal to make a difference to a few people within the community. But small actions inspire larger actions and from tiny seeds, massive community gardens are grown.